Make yourself at home in one of the 120 air-conditioned rooms featuring minibars and LCD televisions. Complimentary wireless Internet access keeps you connected, and satellite programming is available for your entertainment. Private bathrooms have deep soaking bathtubs and complimentary toiletries. Conveniences include phones, as well as safes and desks. With a stay at BB Celik Palace Bursa in Bursa (Osmangazi), you'll be steps from Ataturk Museum and 5 minutes by foot from Bursa Culture Park Open Air Theatre. This 5-star hotel is 10.6 mi (17.1 km) from Uludag University and 19.8 mi (31.8 km) from Uludag Ski Center. 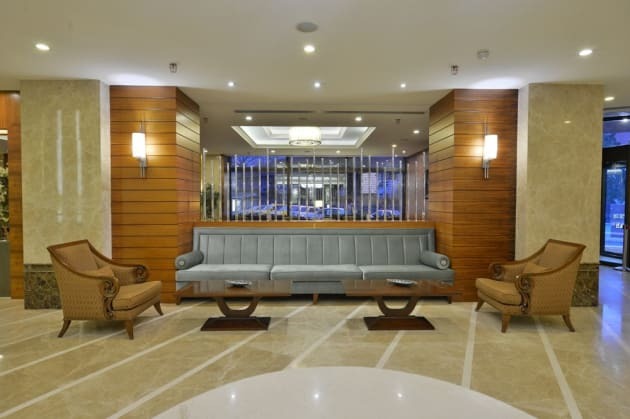 With a stay at Sheraton Bursa Hotel in Bursa (Nilüfer), you'll be steps from ParkOra Life and Entertainment Center and 5 minutes by foot from Mihraplı Park. 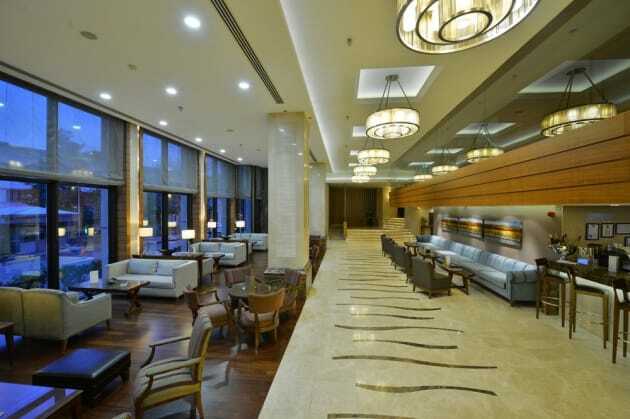 This 5-star hotel is 7.5 mi (12.1 km) from Uludag University and 20.4 mi (32.8 km) from Uludag Ski Center. Make yourself at home in one of the 187 air-conditioned rooms featuring refrigerators and minibars. Wired and wireless Internet access is complimentary, while 40-inch LCD televisions with pay movies provide entertainment. Private bathrooms with separate bathtubs and showers feature complimentary toiletries and hair dryers. Conveniences include phones, as well as laptop-compatible safes and desks.